The history of Himachal Pradesh is obscure and does not give the clear picture of any of the aspects pertaining to the history since the ancient times. The major responsible factor for this issue is not clear evidences. We can get very few knowledge about the history of state by using some archaeological resources and special reference to numismatics. As the various excavation are made on the various places like Guler , Dhaliara, Masrur, Jwalamukhi, Dehra-Gopipur and Nurpur. We have a few resources of history of Himachal Pradesh. i) Coins: Coins give the important contribution to depict the history of Himachal Pradesh. Earlier, coins were given no attention but later on with the establishment of Himachal state museum in 1973-1974 in Shimla the coins find the attention of its curator Dr. V.C.Ohri . Now the two famous museum of Himachal i.e. Himachal state Museum and Bhuri Singh Museum Chamba have good collection of antique coins. The earliest 87 Punch marked coins out of which 25 coins are preserved in Bhuri Singh Museum Chamba and 12 are kept in state Museum Shimla found from Arki. 21 coins from Appollodotus have been found in Tappa Mewa village in Hamirpur. While 31 coins were found from Jwalamukhi in Kangra. Some Indo-Greek coins have been found from Lachori and Saroi in Chamba. These coins show the influence of Greeco-Bacterian penetration in Chamba and Hamirpur. ii) A large number of inscriptions like copper plates and other things have been preserved in the different museums. The Nirmand copper plates of 7th century A.D. issued by Mahasamanta Maharaja Samurdrasena are an important historical document. Besides this many inscriptions found from Pathpur and Kanikara in Kangra , Soopur hillock cave inscription in Hatkoti (Shimla) and Salanu near Manglore in Mandi. In addition many stone inscriptions are also found. These inscriptions are mainly written in Sharda and Tankri Script. The Chamba finds mention in both states, owing to its divided by the river Ravi. There are strong evidences of existence of pre- historic man the Himalyan region. It is believed that the first evidence of existence of human beings (about two million years ago) were found on Himachal foothills on the areas of Sirsa-Satluj valleys of Nalagarh –Bilaspur , Markanda Valley of Sirmaur and Bangang-Beas Valley of Kangra districts. We have some certain parts of Indus Valley civilization on ancient Himachal. The pre-historic culture came to Himachal from South and settled down in southern and central parts of the state. This is represented today by Koli, Hali, Doms and Channals etc. and their languages are called as Kolarian. 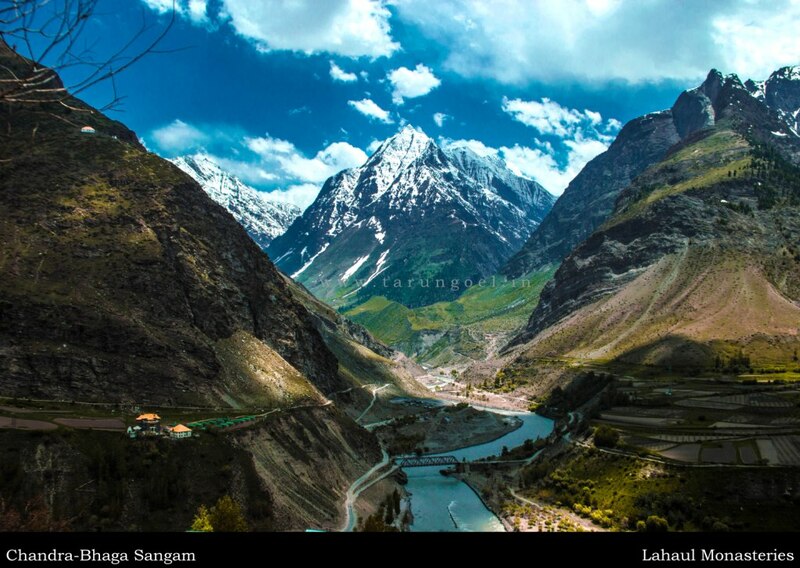 Kinnaur and Lahaul Spiti are their primary concentration. The Indo –Gangetic plains in the pre historic times were inhabited by Mundas. When the people of Indus Valley civilization spread in this area, they pushed Kolarain people to the interior Himalayas. The Kolis are known as ‘Mundas’ were supposed to be the earliest and original migrants to Himachal Hills. Their powerful King was Shabhara who had ninety nine strong forts in the hill between Yamuna and Beas River. Mangloids: The mangaloids were supposed to be the second race to enter into Himachal range in around 3rd century B.C. These people are also mentioned as 'Bhotas' or 'Kirats' in ancient Indian literature. Aryans or Khasas: The Aryans were to be considered as the third race to enter into Himachal. They came to India from North from the area near about the Caspicm Sea in middle Asia. Aryans leave a deep impact not even in the history of Himachal but in all North India. Their language was closely aligned with Sanskrit is known as Pahari. They organized themselves in small political units or villages and called themselves ‘Khasas’ or ‘Mavanas’ literally means Strong men. The non observance of Sanskritic rules by these people had made them ‘Mlechachas’ and barbarian in their behavior. The Audumbaras: According to Mahabharata, Audumbaras were the descendants of sage Vishwamitra who funded the 'Gotra' of the 'Kaushika' group. Their coins have been found from Kangra, Jwalamukhi, Pathankot, Gurdaspur and Hoshiarpur region. Audumbaras are referred to as 'Shilvas' in 'Vriti' a famous book written by Buddhist scholar 'Chandragomin' in 5th century A.D. The mention of Audmbaras has been made in 'Sataptha Brahamana' a work of 8th century B.C. The coins of Audumbaras were inscribed in 'Brahmi' and 'Kharosti' script which clearly depict that they were Shavite (followers of Lord Shiva) in fait. Though the study of coins we can conclude that these coins dates back 1st century B.C. and Audumbaras had trade with Taxila and Gangetic valley. The numismatics shows that in the later phase Audumbaras asserted their independence and formed separate state in 2nd century B.C. called as 'Mitra'. Trigarta: According to epics it is believed that 'Trigarta' (modern Kangra) came into existence sometime around 8th century B.C. It was founded by Susharma Chandra, an ally of the Kauravas in Mahabharata and attacked 'Virta' the king of Matasya (modern Kalsi of Dehradun distict of Uttrakhand). The original habitat of Susharma Chandra's family is said to have at Multan. Kuluta (Modern Kullu): The area located in upper Beas valley called as 'Kuluta Desh' in the Rampura, the Mahabharta and the Vishnu Purana. 'Naggar' was considered as the ancient capital of Kuluta. The Kulindas or the Kunindas: It is mentioned in the Mahabharata that the Kulindas people who lived in the area lying between the river Beas, Satluj and Yamuna i.e. Sirmaur and Shimla Hills and between Ambala and Saharnpur in plains. What are the refrences followed by you sir for himachal general studies , if u tell them it would be great help in prepraion.Thank you. thanks for the information.. is there any mobile app of the site? Priya, We don't have app.